Mesh build Gaming PCs from highest quality components in gaming. 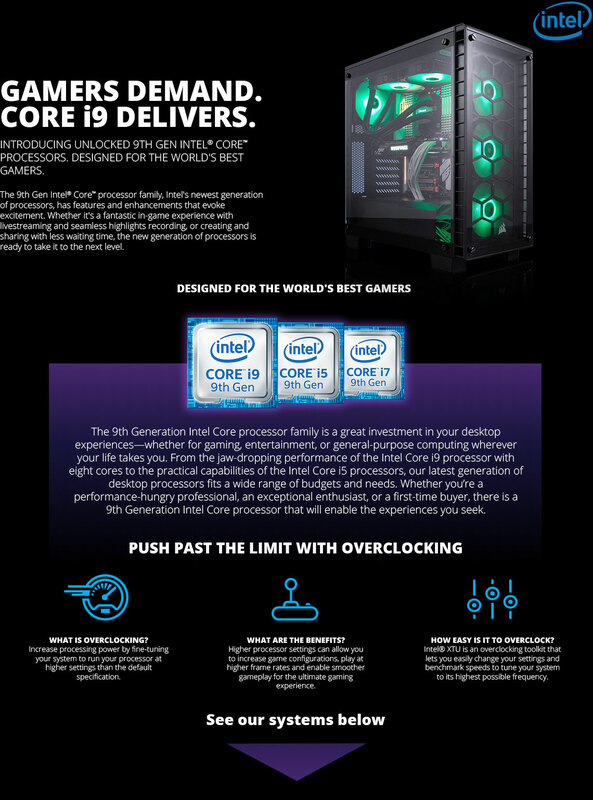 We combine the best combination of quality and value which result in exceptional gaming PCs. Custom build a Gaming PC to your specification. Our PCs are built to order so you can completely customise your Intel gaming PC to suit your needs. All Mesh gaming PCs are for extreme gamers providing ultimate gaming experience.